People with Chronic Kidney Disease (CKD) are at risk of acquiring Diabetes even after receiving a Kidney Transplant. While some say that coffee is bad for those with CKD, in fact, a new Harvard study finds that coffee in moderation can protect people from contracting Diabetes. Still, if you are on dialysis then you should restrict your intake to 4 ounces to remain within your fluid restriction. Published in, Diabetes Care. Harvard researchers found that the risk of acquiring Type II Diabetes was lower in regular coffee drinkers when compared with those that do not drink coffee or rarely consume coffee. They shared that, "Coffee consumption was inversely associated with the risk of type 2 diabetes in a dose-response manner." Researchers also noted that, "Both caffeinated and decaffeinated coffee was associated with reduced diabetes risk." Additionally, coffee contains antibiotics that may offer cardiovascular protection, and research is showing that it reduces the likelihood of developing cancer. 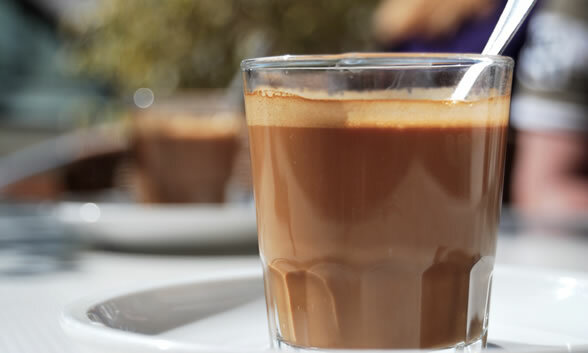 Coffee drinkers were found to be 50% less likely to get organ cancer than non-drinkers. Nephrologist, Dr. Shamik Shah, MD suggests that drinking a couple cups of coffee a week should not be "problematic" for those with CKD. However, they should limit their fluid intake and moderate caffeine which can act as a bladder irritant and diuretic. If you are not on a fluid restriction, a whole cup of coffee is acceptable (115 mg potassium, 8 mg phosphorus) but if you drink lots of coffee then your potassium could add up and create issues with Hyperpotassium (high potassium) which can induce a heart attack or stroke. Visit KidneyBuzz.com's improved E-commerce Store and purchase a CKD mug, band, bag, pillow and more to support KidneyBuzz.com to meet your needs. We will also be launching a new forum that you HAVE to check out. It will help improve your chances of getting a Kidney Transplant sooner by allowing you to share your story; and connect with others in the community within a secured, uncensored environment [COMING VERY SOON]. 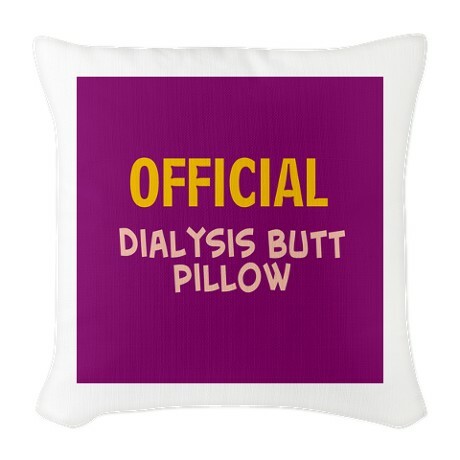 Sit back and relax with unique throw pillows that add "Home Sweet Home" to any room in the house or serve as great cushions during your dialysis treatment. Click Here. The perfect size for your favorite morning beverage or late night brew. Large, easy-grip handle. Treat yourself or give it as a gift. Click Here. "Coffee Linked With Lower Diabetes Risk." Renalandurologynews.com. Renal and Urology News. "Kidney Disease (Nephropathy): American Diabetes AssociationÂ®." Http://www.diabetes.org. American Diabetes Association.